DIY, RV Roof Restoration, 4 gallon Kit restores an RV roof up to 30 feet - Rexoseal | The Original Waterproofing Coating System! Elastomeric Roof Coating. Restores an RV Roof up to 30’ long. A unique process of embedding a reinforcing membrane between Rexoseal,s RV Elastomeric Roof Coating. Includes 4 gals. Of Rexoseal RV, 5” x 125’ of reinforcing membrane, an 8 oz bottle of Rexoclean, a 7” paint brush, a 3” paint brush, a pole sander with screen, a 9.5” paint roller and a scrub brush. Reinforcing Fabric Membrane 40” x 324’coverage 972 sq.ft. 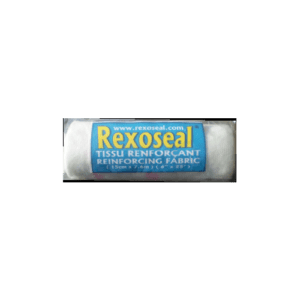 Rexoseal Elastic Basecoat 1 gal.